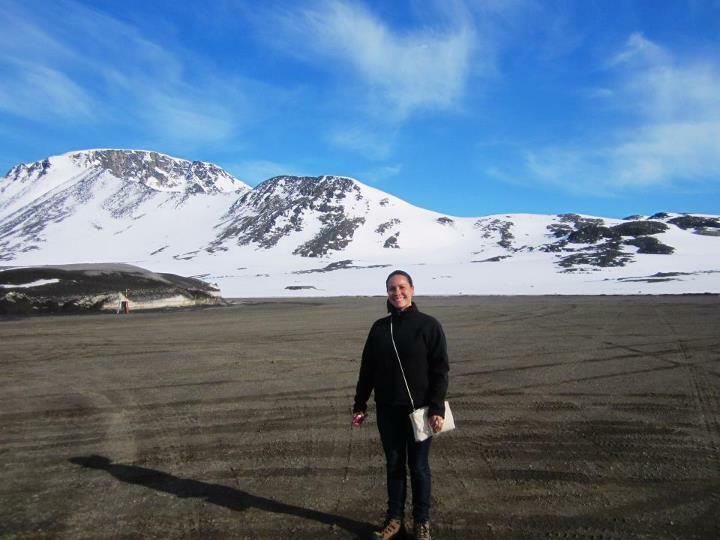 When I walked into the Kulusuk airport, it was full of life! Packed with film crews and tourists on their way to Reykjavik and beyond… Packed with ice cap crossers, heliskiers, and extreme adventurers ready to get started on journeys of a lifetime! Though Greenland gets a fraction of the tourists that other worldly destinations get, the tourists that are here are very special! Very passionate about seeing the world; very curious about a life different from their own… It is inspiring to be surrounded by such people every day! I think tourists to Greenland must feel a little bit like they are members of a secret club – only others who have been here really know its majesty and the feelings it evokes. With some hours to kill before catching my helicopter to Tasiilaq, I interviewed as many tourists as possible, and then I walked around to shoot photographs. When I went out the door to the road, my first thought was, “Wow! There is a lot of snow here!” Now, I fully understand the irony of this statement. I am in Greenland… in winter/spring. Of course there is snow! But to be completely honest, this was the first place that I was seeing a large amount of it. The unseasonably warm temperatures had melted every single flake in Kangerlussuaq in March. There was some snow on the ground when I was in Ilulissat and Nuuk, but it was not more than I had seen before in Washington, D.C. And, it was pretty dirty and rocky – also similar to Washington, D.C. 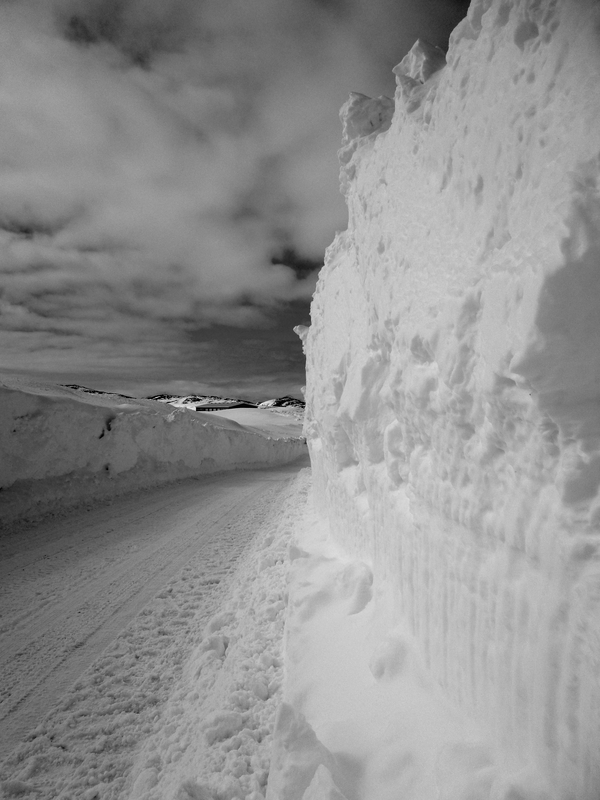 So, when I walked outside and saw pristine, white snowdrifts 3 meters (10 feet) high to create a road, I was impressed! Here are some pictures of the snowdrifts. Picture 1 is right outside the airport. Picture 2 is closer to the settlement of Kulusuk; the trench in the foreground is the road 🙂 For reference in Picture 3, I am only 157 centimeters (5’2″) tall! One of the novel aspects of traveling to small towns and settlements is flying in a helicopter! But it is a shame the trips do not last so long – approximately 15 minutes! This was my second helicopter trip, but I was just as excited about it as the first! Helicopters fly lower and slower than the small fixed-wing planes, so the view and photo-ops are fantastic! 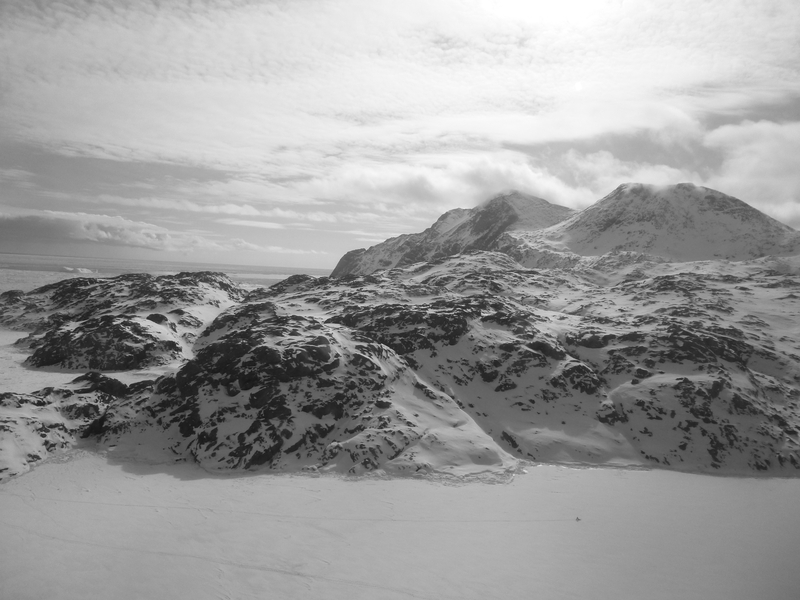 Here are some photos I shot while airborne between Kulusuk and Tasiilaq. Settlement of Kulusuk. The snow between town and the mountains is on land. 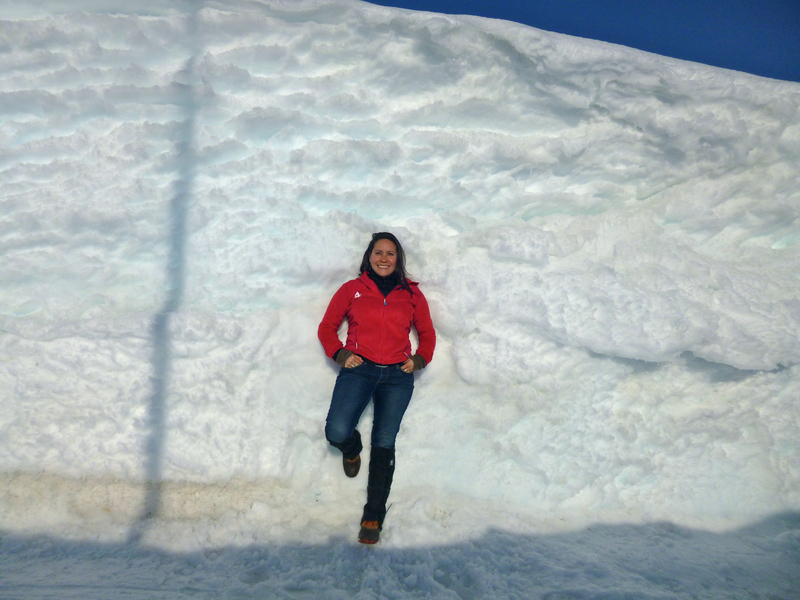 The snow between the town and me is actually sea ice. If you look closely at the snow, you will see dogsledge and snowmobile tracks. In fact, there is a dogsledge down there (sans dogs). Can you spot it? 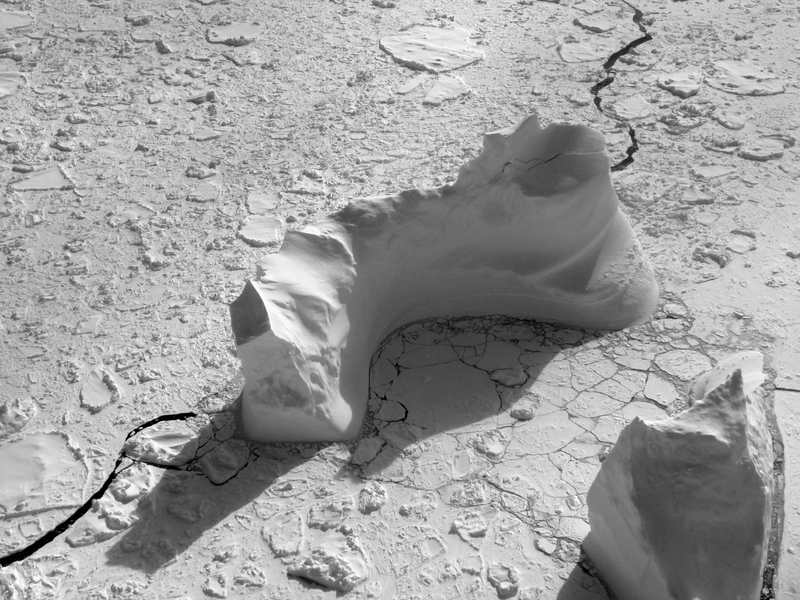 Easily the tallest freestanding iceberg I have laid eyes on thus far. One of my favorite things about transportation in Greenland is how simple and relaxing it is! To juxtapose, it is nothing like arriving to an American or European airport where you are instantly in a rush to walk/run a mile or two to baggage claim, passing through door after door, going down hallway after hallway, making sure to keep your gaggle of family members relatively close by as you weave between others. On the contrary, I stand behind the statement that transportation with Air Greenland is nothing like that! Save for maybe Kangerlussuaq Airport during a holiday. You may wonder why I sometimes say “the east coast” rather than name a particular town. It is pretty common, and that is because there are so few places to live in this part of the country. It is the most sparsely populated region of Greenland! 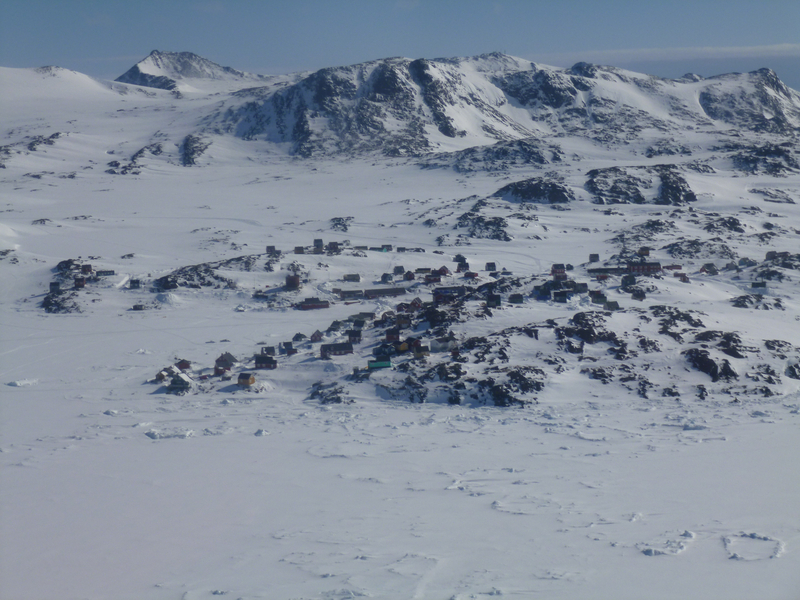 There are 2 towns (Ittoqqortoormiit and Tasiilaq) and 5 settlements (Isotorq, Kulusuk, Kuummiut, Sermiligaaq, and Tiniteqilaaq). 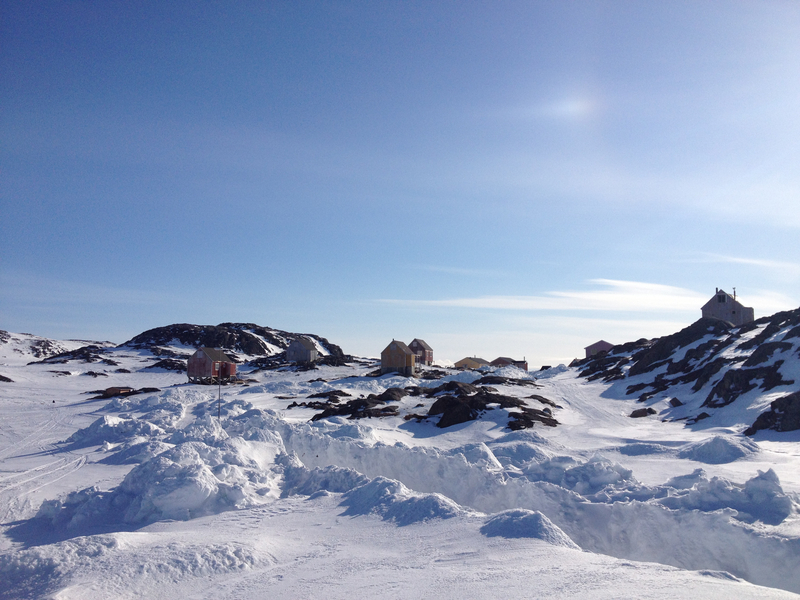 A grand total of approximately 3,500 people live in these places, and most are in Tasiilaq. Also, a lot of the tourism activity is focused in Tasiilaq and its surrounding settlements (Isotorq, Kulusuk, and Tiniteqilaaq). So when one says she is going to “the east coast” it is fairly likely she is going to Tasillaq. You may also see “Angmagssalik” (alternative spelling: Ammassalik) in reference to the east coast. This is a remnant of the pre-2009 municipality system. 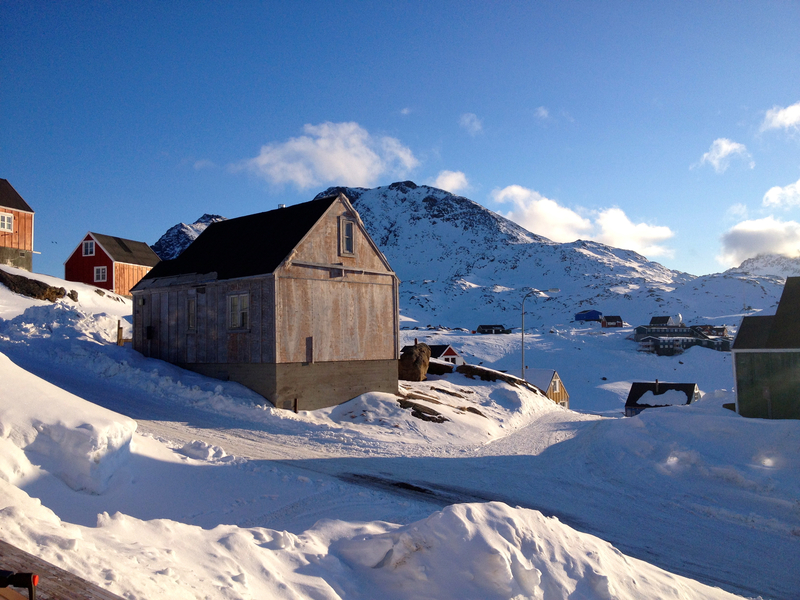 Before 2009, each town in Greenland had its own municipality, and Tasiilaq’s was Angmagssalik. As of 1 January 2009, many municipalities fused to form the four that exist today. They are Kujalleq Kommuneqarfik (South Greenland), Sermersooq Kommuneqarfik (Capital Region and East Greenland), Qeqqata Kommuneqarfik (Arctic Circle Region), and Qaasuitsup Kommuneqarfik (North Greenland). Fun fact: Angmagssalik is Greenlandic for “the place with capelin”. 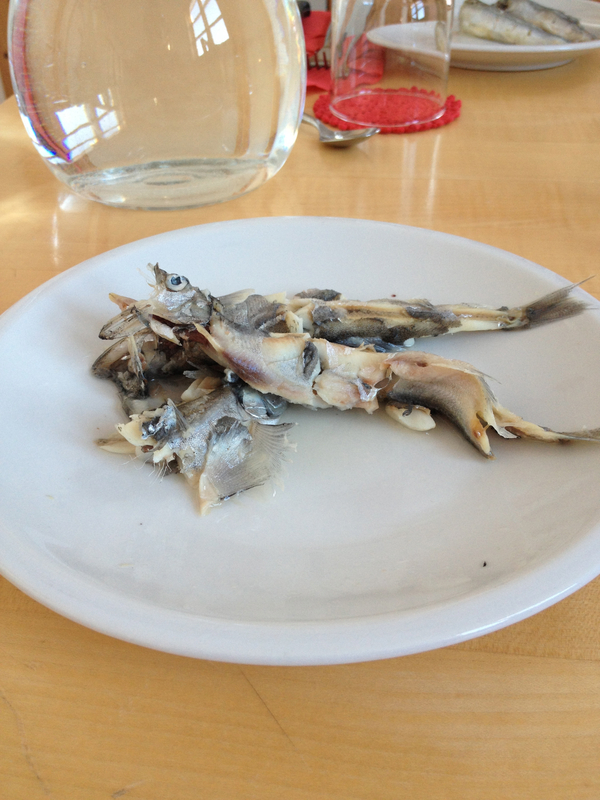 Capelin are small sardine- or herring-type fish that are delicious battered and fried or just tossed in a pan with oil, salt and pepper, and lemon! You can eat them bones and all! Here they are simply prepared as a cold appetizer. East Greenland will always be special for me simply because it is the very first place where my feet touched Greenland soil almost one year ago on Saturday 26 May 2012. A stop in East Greenland was not in the original flight plan that day, but the headwind was strong so we needed to refuel before we reached Nuuk. It was exhilarating to step out of Qarsoq, our little Air Greenland Dash-8 propeller plane, that day! The mountains were still so white, even in May; the Arctic air was so crisp; the sky was so blue… it was love at first sight for me! 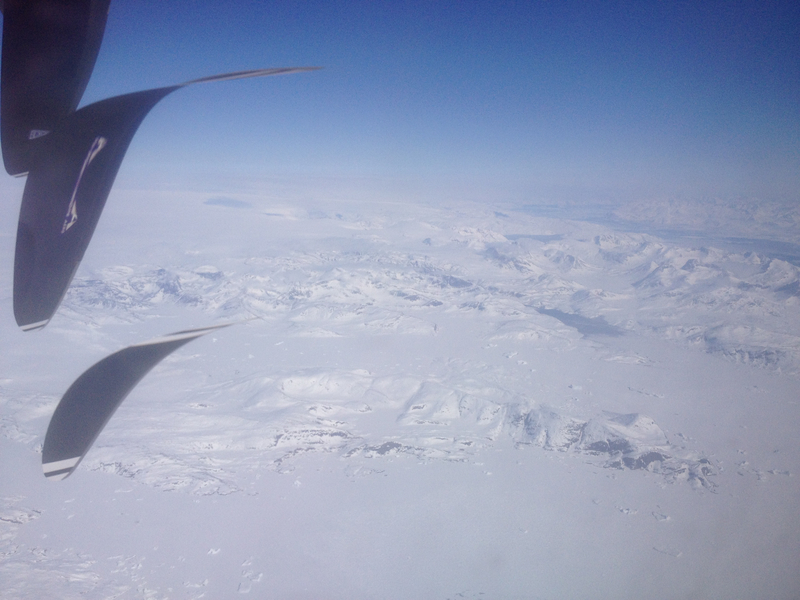 We were on the ground for less than 30 minutes, but still it was nice to just get a mental image of East Greenland. 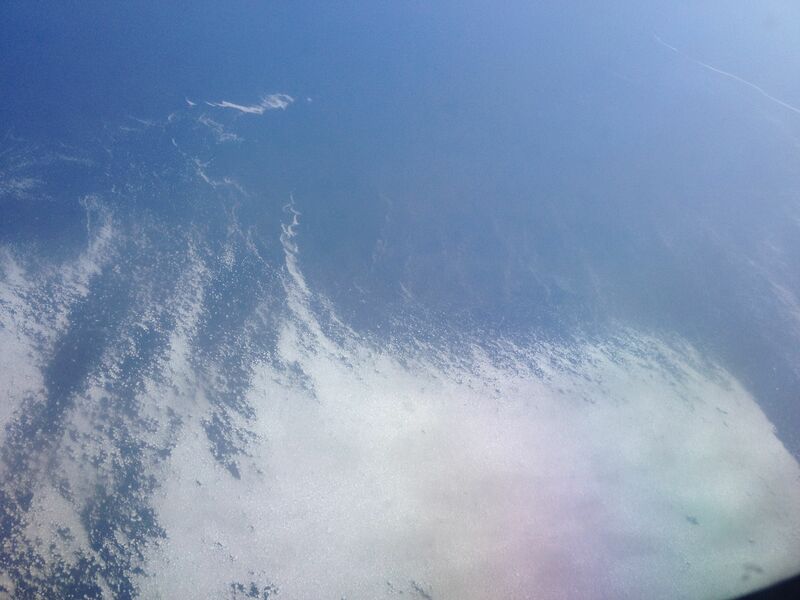 I can still remember spotting sea ice from the window of the plane – that was a first for me. 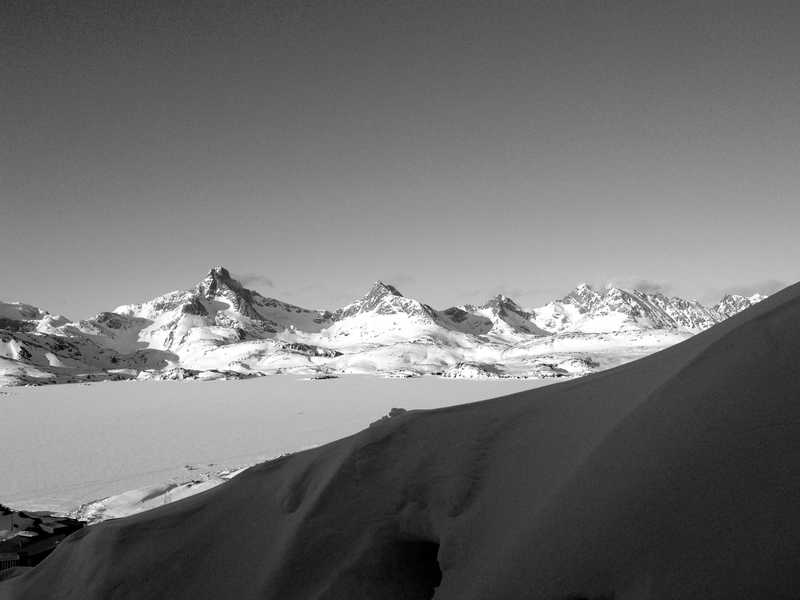 Soon we were landing on the short airstrip right in the middle of the mountain peaks. Below are a few pictures I took back in May 2012. I have not been to East Greenland since my very first day in Greenland, so I am really looking forward to getting back there and experiencing firsthand everything that I have heard!